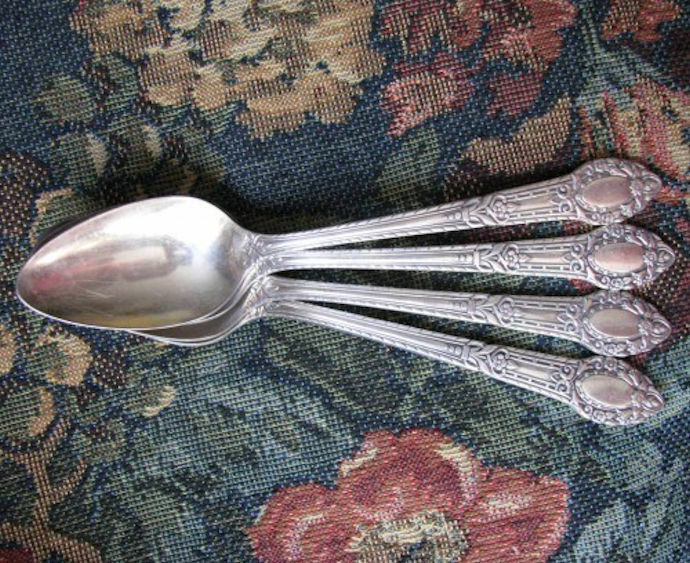 Here is a lovely set of 4 silver plate teaspoons from Community Plate (now Oneida) in the handsome pattern "Rendezvous", discontinued in 1938. 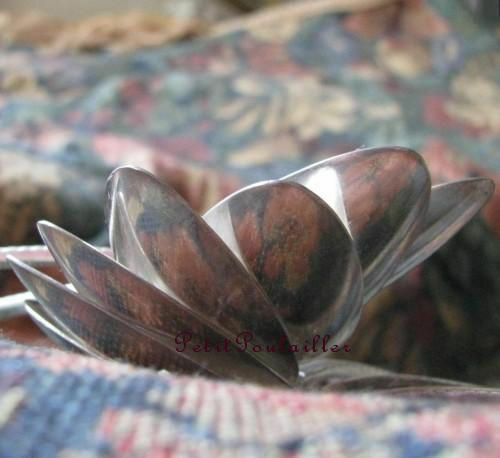 These will be lovely additions to your table, gorgeous pieces for jewelry making ... the plate finish shows very little wear and is bright, clear, and fabulous. 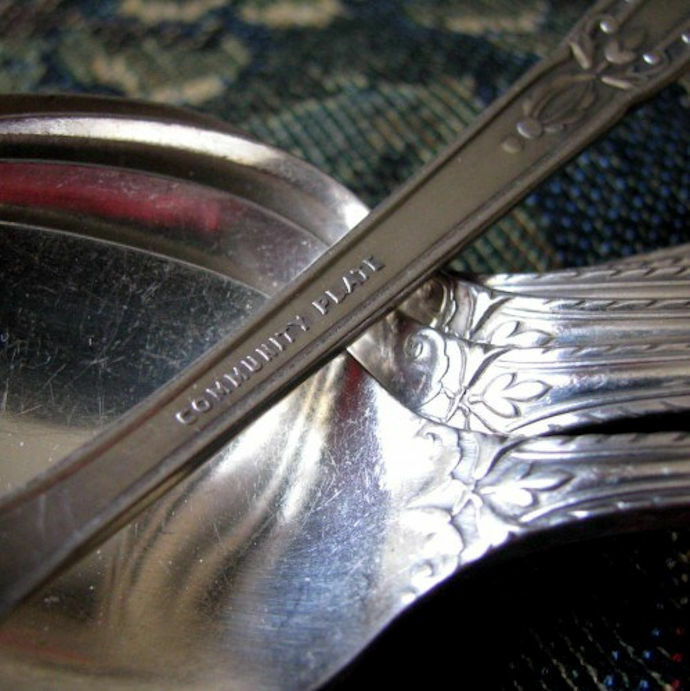 The maker is Community Plate and the lovely silverplate pattern is 'Rendezvous', discontinued in 1938. 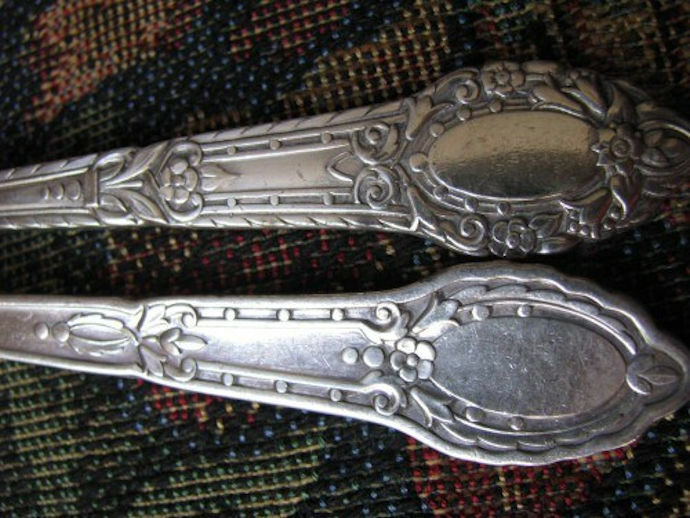 Wonderfully ornate, both the face and reverse, with a medallion for monogramming and a back stamp of 'Community Plate'. 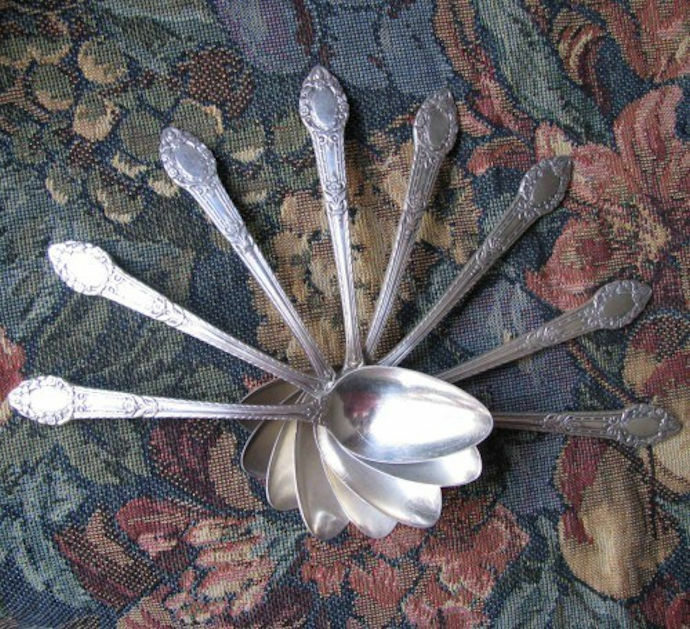 The condition is excellent vintage with minimal wear on the plating on all four teaspoons.